Join us and James K. Stoller, MD, MS, of the Cleveland Clinic as he discusses alpha-1 antitrypsin deficiency (AATD), a relatively common genetic condition that is frequently under-recognized and diagnosed late.1 Given that an estimated 1–3% of patients with COPD have AATD2, many primary care providers are likely already caring for undiagnosed AATD patients. In this webinar, Dr. Stoller will discuss AATD epidemiology, diagnostic testing, current therapeutic options and implications for patients’ families. Dr. Stoller has published extensively on COPD, especially AATD, and on strategies for delivering care. 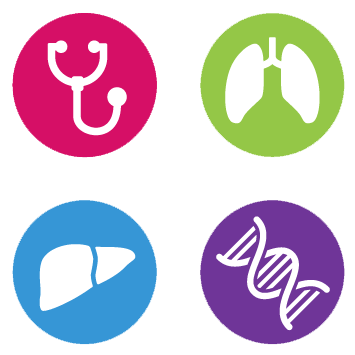 This webinar is designed for primary care practitioners and all allied health professionals interested in improving recognition and diagnosis of AATD in their practice. 1. Stoller, James K. et al. “Delay In Diagnosis Of Α1-Antitrypsin Deficiency”. Chest 128.4 (2005): 1989-1994. 2. Lieberman J, Winter B, Sastre A. Alpha 1-antitrypsin Pi-types in 965 COPD patients. Chest 1986; 89:370. 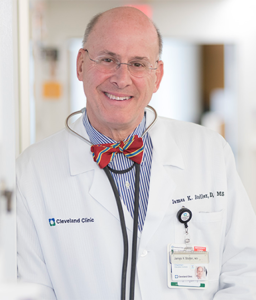 James K. Stoller, MD, MS, is Chairman of the Education Institute at Cleveland Clinic. He holds the Jean Wall Bennett Professorship of Medicine at Cleveland Clinic Lerner College of Medicine and the Samson Global Leadership Academy Endowed Chair. He also is a pulmonary/critical care physician in Cleveland Clinic’s Respiratory Institute, where he formerly was Head of Respiratory Therapy. Dr. Stoller earned a medical degree from Yale University School of Medicine in 1979. His clinical research has focused on chronic obstructive pulmonary disease, especially alpha-1 antitrypsin deficiency, and on strategies of care delivery, especially respiratory therapy. He has authored or edited more than 15 books, more than 300 peer-reviewed reports and more than 100 abstracts, and serves as a reviewer and contributor to a number of national and international publications.